Take me to the pillows! Pillows are a new addition to our line. 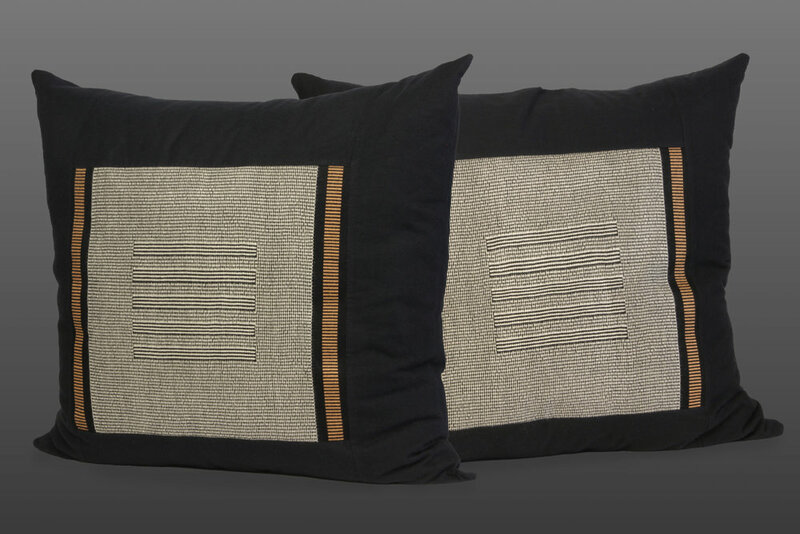 MATERIALS: The field on the FRONT of the pillow is made of one or more pieces of our handwoven bamboo fabric. The framing and sashing (if any) of the field is made of a variety of fabrics: black cotton flannel; or microsuede in either black or chamois. The BACK is a solid piece of the same material used on the FRONT. On the bottom edge of the pillow there is an invisible zipper sewn in. Our label is on the back. The pillow insert (which comes with the pillow) is either non-allergenic synthetic down quill-less feathers. SIZE: The pillow case is sewn to 24" X 24"; the pillow insert is 26" X 26". The finished pillow is approximately 20" X 20" by 8" thick. Each one weighs about 5 lbs. AVAILABILITY: Pillows are made in pairs. 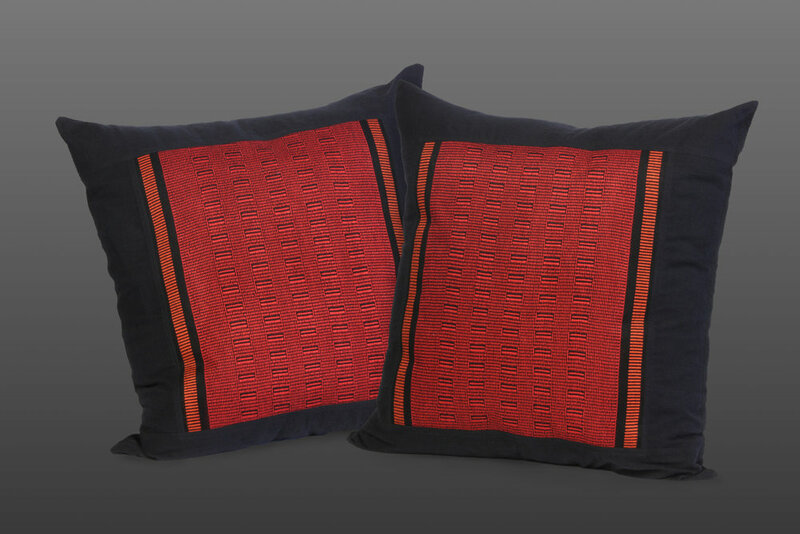 The pieced pillows tend to be mirror-matched, and are available only as a pair. Other pillows may be available as individuals. At the bottom of the pillow gallery you will see that some pillows depicted are already sold, and shown only as examples. Each pair made is, frankly, unique and very unlikely to be repeated. If you like something already sold, we can come fairly close in appearance for your special order, but each pair is pretty much a bespoke one-off.